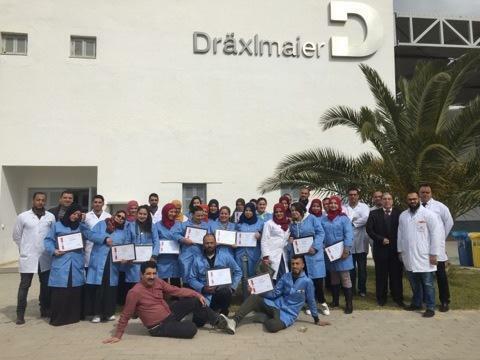 Very pleased and honored to have the confidence of DRÄXLMAIER and SATS Silana Management team for the realization of the Training and Coaching of the 1st HANCHO team in Tunisia. Coach & Trainers: Dr Nadhmi ZOUAGHI (PhD JAPAN), Moufid KARRAY (MBA Canada), Nefaa ABID (Industrial Engineer), Mohamed BENLAZREG (M.Sc. Tunisia), Maroua KARRAY (Executive Assistant, ICC Canada). Certified Training delivered by Moufid Karray Consulting in Partnership with International Consulting Canada.